April 13th to 24th dates only. We had a cancellation. 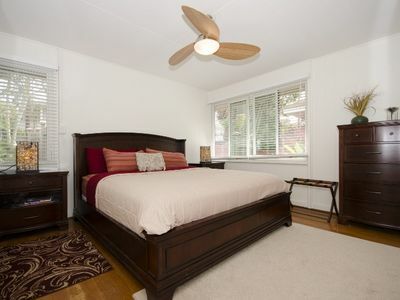 Special Fill-in Rate $149/night, plus cleaning and tax). 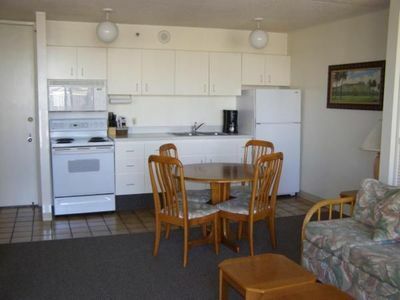 Regular rate is $165 to $185/night. 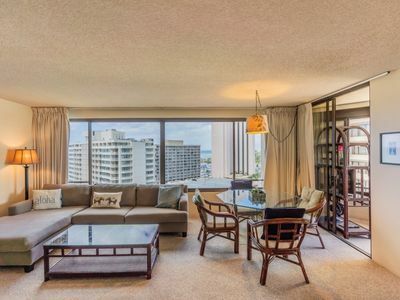 You will love this fabulous oceanfront / ocean view condo at the world famous Ilikai Waikiki Hotel. 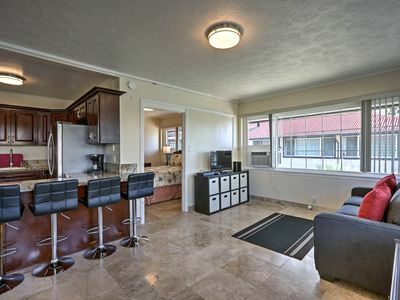 The condo has been remodeled with the highest quality Hawaiian decor for beauty and comfort. 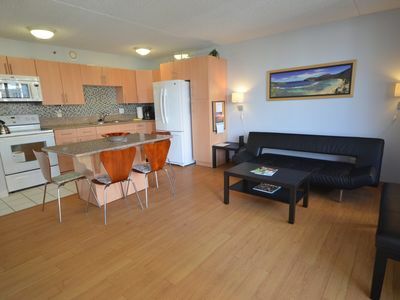 It includes new furniture, a comfy king bed, a full-sized super comfy dual recliner couch (which 1 person can use for sleeping), a 42' flat screen TV with premium cable service (HBO and many free sports and other channels), DVD player, free high-speed internet and free long distance calling to the US mainland, Canada and many other countries from your land line phone, and an in-room safe. 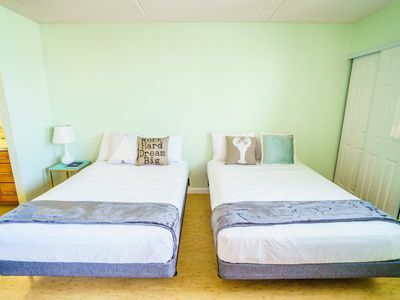 The fully equipped kitchen has a full-sized range and refrigerator, microwave, toaster, coffee-maker, blender, rice cooker, stainless steel pots and pans, tableware and even tea and coffee supplies and spices. Reverse Osmosis purified drinking water. 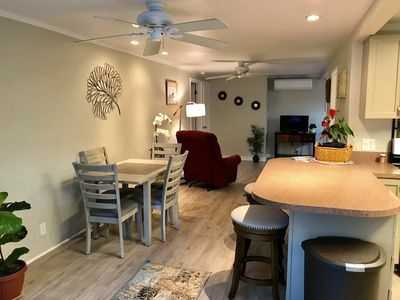 Unique to the Ilikai, this unit has been remodeled with plenty of storage, an extra closet and cabinets, so that you can stow away your possessions and really be on vacation. 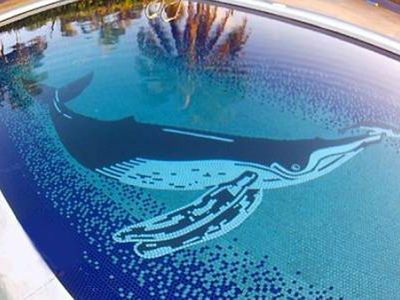 It even comes equipped with beach gear, such as a cooler, umbrella, boogie boards, snorkel gear and other beach toys. 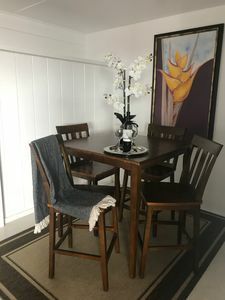 There is also a great lanai with dining table and chairs, a futon couch and comfy lounger with great view of the lagoon, beach and surf. 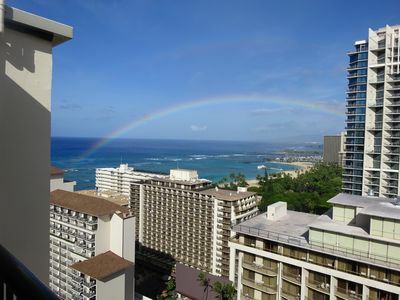 The iconic Ilikai Hotel. The original and also the new Hawaii Five O TV series have filmed opening shots and several episodes here. 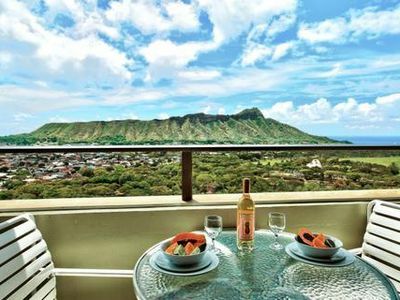 Sip a tropical Drink from your Lanai while you enjoy the views of the ocean and the lagoon. 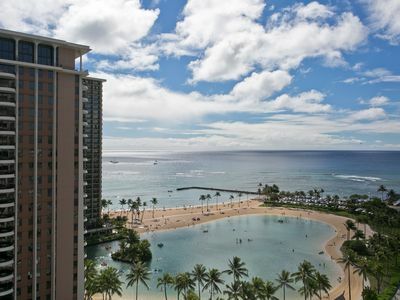 You are only steps down a causeway from the lobby level to Waikiki beach and a short walk to the beautiful, shady Ala Moana Beach Park: a great place for a morning jog, swim or walk and great bike trails as well. 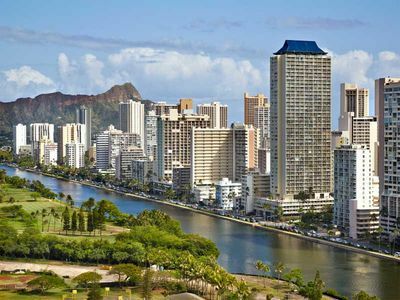 It is a short walk in one direction to the large and fabulous Ala Moana Shopping Center outdoor mall and in the other direction from central Waikiki luxurious Lewer's St. shopping. There are also convenient shuttles and buses stopping right in front to transport you to all attractions. 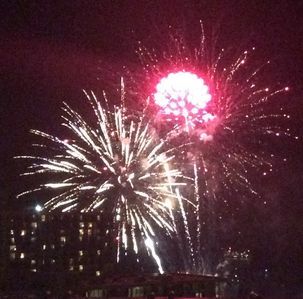 You are looking at the lagoon, the beach, the surfers right out in front, boats coming and going from the harbor and even a spectacular fire works display, which can be viewed from your lanai every Friday evening. The expansive lobby and gardens of the Ilikai evoke a wonderful Hawaiian feeling. There are also a nightly torch lighting ceremony and Hawaiian Hula Shows on the lobby level by the popular garden restaurant. 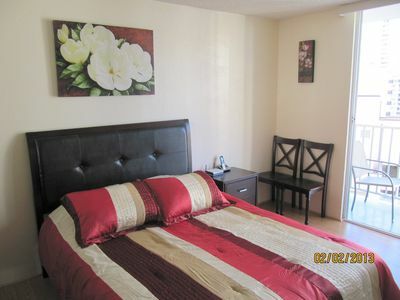 We know that you will love your visit to this wonderful condo. 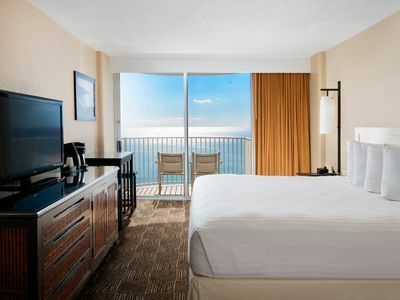 Let us make you feel like Hawaiian Royalty! Please email if you are interested in specific dates. Mahalo (Thanks! ), and welcome to Hawaii! 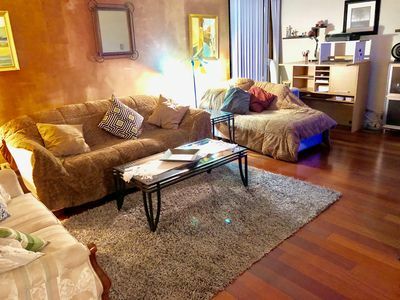 2BD Apt Heart Of Honolulu! Free Garage Parking! 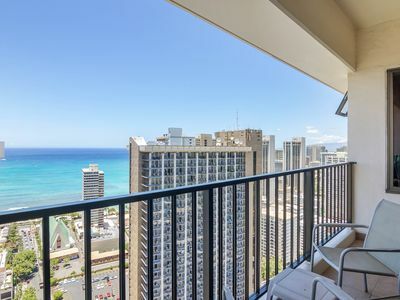 Amazing views - Across the street from Hilton Waikiki but half the price!!! NEW! 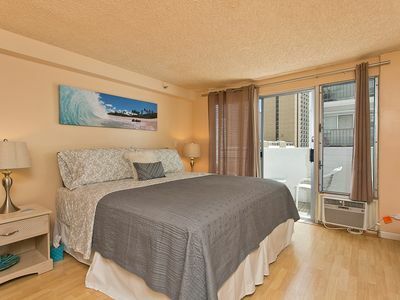 Waikiki Apt by Beach - 10 Min to Honolulu!